Chennaiyin FC co owner Abhishek Bachchan with his wife Aishwarya Rai during the Indian Super League match between Chennaiyin FC and Atletico De Kolkata in Chennai. Actress Jamie Chung attends the premiere of the animated feature film 'Big Hero 6' at the El Capitan Theatre, in Los Angeles. 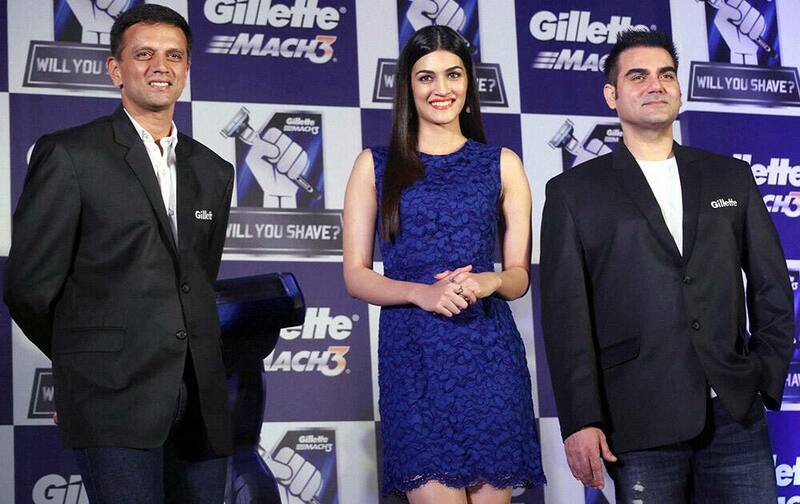 Former cricketer Rahul Dravid, Bollywood actor Arbaaz Khan and actress Kirti Sanon during a promotional event of Gillette in Mumbai.